Bollywood actress, Ileana D'Cruz who was alst seen in the movie Raid along with actor Ajay Devgn is probably one of the prettiest actress that the industry has got. She has worked in quite a number of Bollywood films like Barfi, Rustom, Main Tera Hero, Baadshao and a lot of films from the South. The actress, announced to the world about her marriage through her Instagram account and it now seems as if the good news is on the way. Well, we are talking about Ileana and husband Andrew Kneebone's first child. 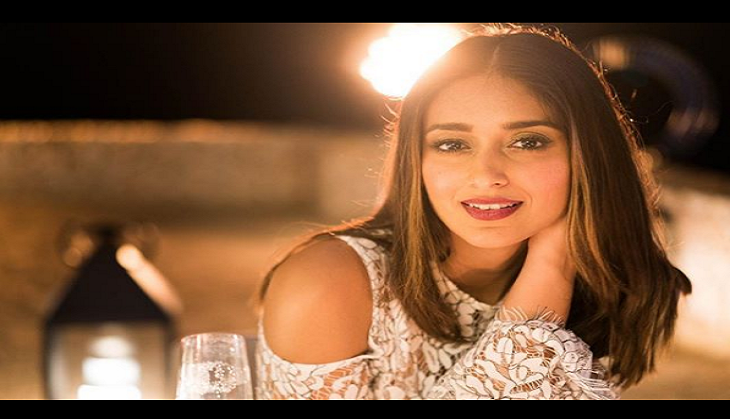 Talking about the couple first, Ileana got married to him and shared the news with her fans during the ocassion of Christmas. She shared her picture along with a christmas tree and captioned it as, "My favourite time of the year ♥️ #christmastime #happyholidays #home #love #family Photo by hubby @andrewkneebonephotography ♥️"
As soon as she mentioned the word 'hubby' people went crazy and wanted to know if she was married or not. And now that it is clear that they are married, another report of the duo has popped in that said that the actress is pregnant. In various reports that have been published it was being said that during the promotions of her movie Raid, Ileana used to wear clothes that hide her baby bump. As this was not enough, we found a picture shared by her husband Andrew on his social media account that added a little more to the news. The picture that he shared on his Instagram account showed Ileana resting in a bathtub but if you will read the caption, you will definitely find something hidden behind the picture. ALSO READ: Bepannah: The per day fees of Jennifer Winget and other characters of the show is shocking! When Ileana was once asked about her relationship, she said, "It's exactly what you see. What's great about the social media is that I can let people in to an extent but I don't like talking about my past... How the relationship started and where... in interviews. It's too personal. I won't hide it and I won't deny it. Everything is out there for everyone to see, don't ask me too many questions about it. I'll tell you what I want to tell you. Period." Talking about pregnancy rumors, if they are true then we definitely want to wish the couple congratulations on a new beginning.